Mount Tabor Lodge A.F. 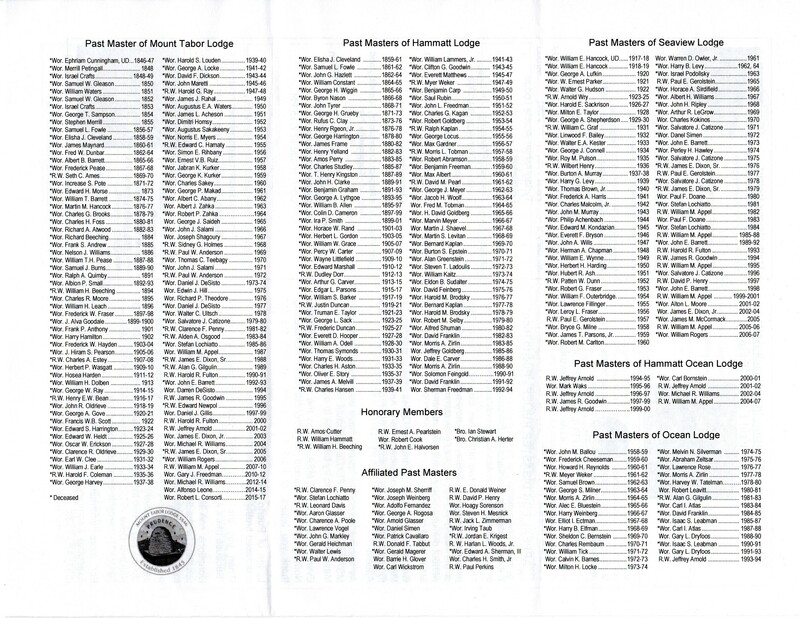 & A.M. – MANCHESTER LODGE A.F. & A.M. In September of 2017 Mount Tabor Lodge and Manchester Lodge began a partnership in which they share the use of the Manchester Lodge building on 10 Church Street. A well-dressed contingent of brothers made the trek to Corinthian Hall at the Grand Lodge of Masons in Massachusetts for our monthly communication.